Hares, Rabbits, Canada Geese, Mallards, Grey - and Paradise Ducks are plentiful in our region. 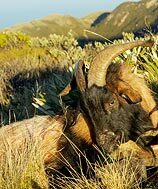 Chukor can be found in some of our Tahr hunting areas. Especially during the hunting trips on the eastern side of the Alps, there are always great opportunities to hunt for some small game. Big numbers of Canada Geese and Paradise Ducks can be found on many High Country Stations. Where those birds are regarded as a nuisance and are subject to an extended shooting season. 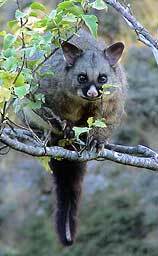 In some areas we can offer hunting for Wild Goats, Pigs, Wallabies (a species related to kangaroos). 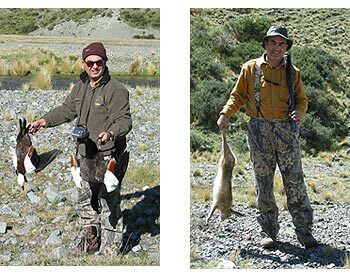 Small game hunting is permitted all year round. The duck shooting season starts in the first weekend in May. To secure a booking from our sister site, The Chalet www.thechalet.co.nz, or one of our Hunting, Fishing or Nature Tours, please use our secure booking form.